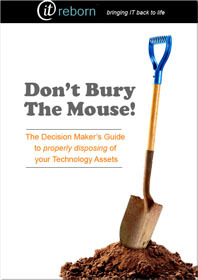 Thank you for registering to download your copy of the IT Asset Disposal Guide. You can get your copy of the guide by clicking on the “Download” link below. If you have any problems in viewing the guide please get in touch with me via email (derek [at] itreborn.com.au) or phone on (03) 9099 0124.